It is all about the hips. 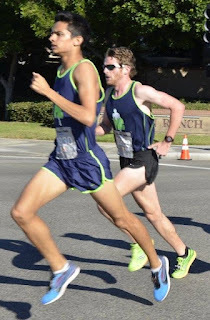 These are the muscles that really help drive your leg behind you and push the rest of you forward during fast running. Most individuals tend to think the hip extensors are limited to the gluteal muscles, but that does not do justice to multiple powerful muscle groups that make up the hip extensors. First we do have the gluteal muscles, which tend to be a weak point in the chain. Second we have the hamstring muscle group, which tend to be the over utilized group. Finally we have the adductors, which I have discussed previously how the adductor magnus especially is a powerful hip extensor. I want to emphasize that all three of these muscle groups are important to both hip joint loading and power generation. A common mistake is to assume that all power comes from one muscle. The body however does not work by single muscles. It works in muscle groups, chains and systems. The power necessary to do everything that happens extension wise at the hip should not come from one muscle. The gluteal muscles do several things. Extending the hip is one of them, as is abduction, external rotation... and if we talk about the lower glute max fibers, actually hip adduction as well. The hamstrings extend the hip, flex the knee and can slightly internally or externally rotate the hip and knee depending on which hamstring muscles are firing (the lateral biceps femors or medial semitendinosis or membranosis). 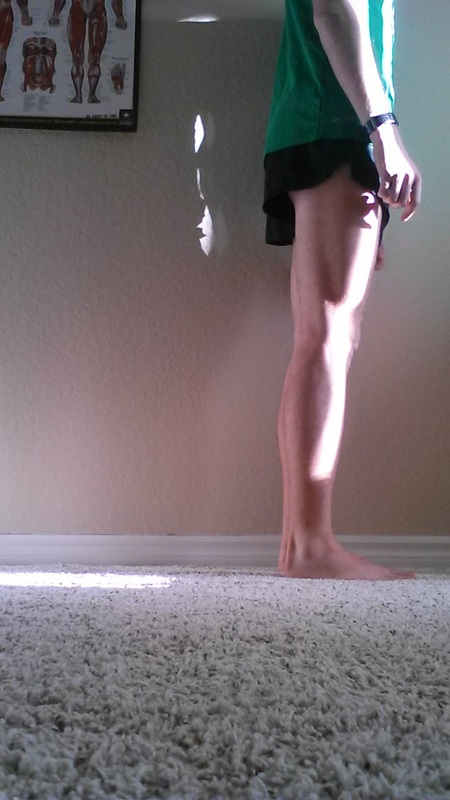 The adductors, especially the magnus extend the hip and adduct it as well. So all these muscles, despite being huge, have multiple actions and overlap. Can them compensate for another muscle if it is weak? Yes. Can that lead to overuse? Yes, because they already have a great deal to move and stabilize. Gluteal tendinopathy (overuse and chronic inflammation of the tendon) is a real thing. I have now treated 2 patients in my short time as a Doctor of Physical Therapy with this issue. And yes they had weakness elsewhere that the glute was compensating for (one of the rare individuals that actually had high glute strength to start with). There are no magic muscles. So how do I like to train them? Well here are a few (emphasis on a "few". I have lost count of how many ways you can train these muscles) of the exercises I typically like. How I train my patients a little differently is that I tend to emphasize the eccentric component or lengthening phase of the movements most. The eccentric component is extremely important with these muscles as to work best they need to be stretched a bit before they truly generate maximal force. That initial stretch in running usually occurs during the load phase when the foot hits the ground. The act of absorbing forces in these muscles causes them to lengthen a bit before driving that hip underneath and behind the body during a powerful push-off/terminal stance. (I will elaborate more on this in a future post in when I discuss plyometrics). 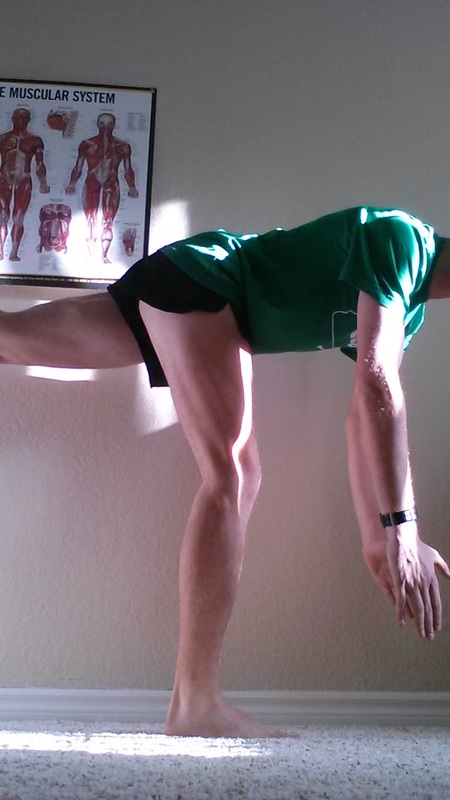 I have discussed bridges before as one of my favorite exercises for starting glute exercises. While the double leg bridge is a great starting exercise, it is limited by the fact that it only places 50% effort onto each leg. That is why I really like single leg bridges. If done correctly, this exercise is both a strength, control and core exercise. It is a strength exercise for obvious reasons. The core and control component come in from not letting the pelvis rotate, which is a important co-function of both the abdominals and glutes to help stabilize the pelvis. So when you lift, don't let the opposite hip drop! If you do, you are neglecting the rotational control aspect of the gluteal muscles and are more likely to utilize your hamstring or lumbar muscles for this exercise. Add a foam roller to emphasize the lower fibers of the glute max and the adductor magus (and challenge that core). As many individuals, including Bret Contreras (the Glute Guy) have made the hip hinge exercise popular (doing a bridge with your thoracic spine on an elevated surface), the same principles apply for the single leg version! Regardless of the type you do, make sure when you do the bridge to at least get to a neutral hip position or even get into hip extension. Not getting into end range hip flexion will not activate the gluteal muscles as well and can (from anecdotal evident in clinic) leave room for easy excess substitution of hamstrings (instead of being equally balanced). 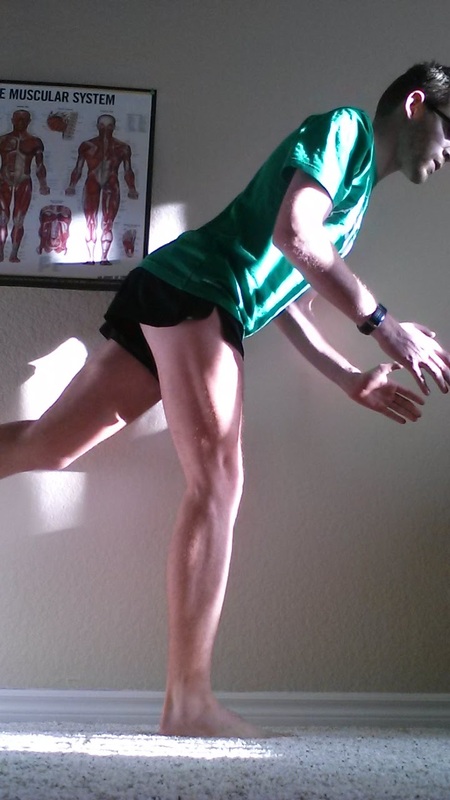 Can't escape without me pulling into single leg balance and neurologic PT! Many individuals will see this exercise as the single leg deadlift and others will see the body weight version as drinking birds (although drinking birds tend to have a reaching component). Regardless, the gluteal muscles, hip adductors, hip abductors and hip extensors play an important role in single leg balance. Not only do they help with proximal control, they stop the trunk from leaning too far forward. 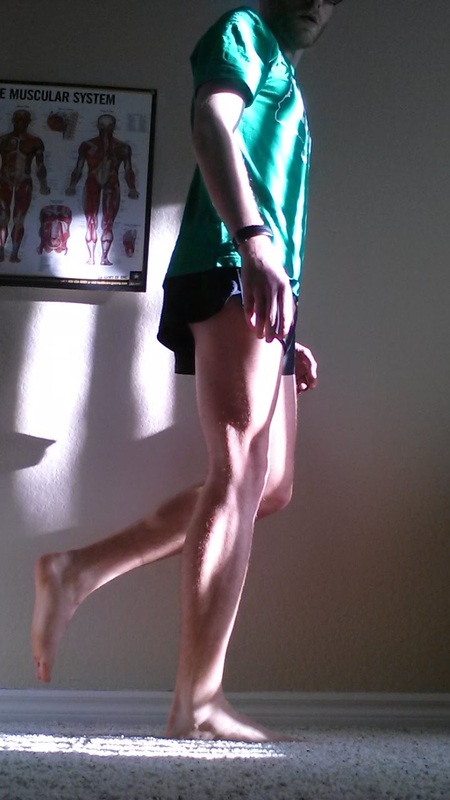 Plus, if you cannot hold a good single leg balance for longer than a few seconds, why do you expect to be a good, injury free runner? Running is a series of single leg stances with high impact forces. If you can't handle statically handling single leg stance, dynamic loading will likely be a problem. So before you try this exercise, you should be able to hold a single leg stance for at least a minute without an issue. Once you get there, this is a favorite hip hinge exercise of mine. If you do this correctly, you should only move from the hips with the knees and back acting as static stabilizers throughout the whole motion. If you utilize those two excessively, you will lose the hip extensor emphasis. Control the downward motion without letting that hip rotate or drop (that sounds like the discussion on the last exercise... because the same thing applies) and come back up to load the hip joint with a long lever arm. Bonus points if you can keep the opposite straight and in neutral hip position. And then we have lunges, another of my favorite strength exercises. I personally prefer reverse lunges over forward lunges because of the fantastic eccentric loading of the hip extensors over the forward lunge. I will not get into functional talk here as the point of strength training is to get the muscles strong and resilient. The best functional exercise is the activity itself (in this case running). The reverse lunge, like the others, work best if you go down slow. The more you can load the front leg the better, as many people will cheat by shifting a majority of their weight to the back leg. Don't do that. Use the posterior leg as a mild stabilizer, reaching back to both get a nice hip flexor stretch (one of the reasons I love this exercise as it functions both as a dynamic stretch and loading exercise) and keep a majority of your weight on the front leg so you can appropriately load it. 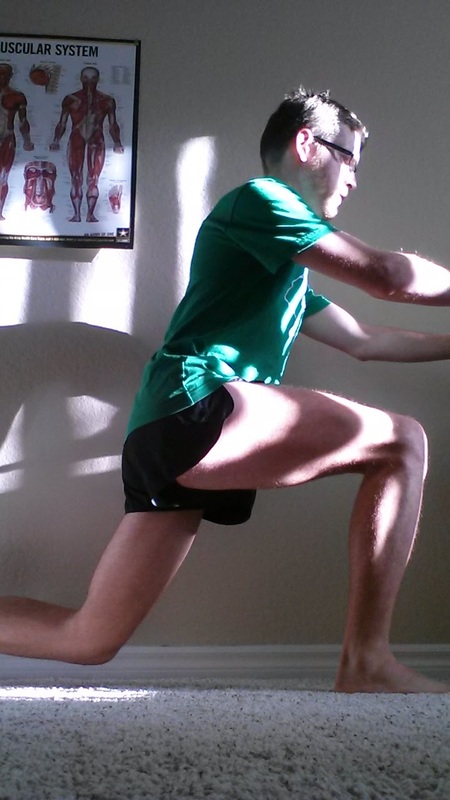 To load the hip extensors over the quads, a slight forward lean from the hips will help load the hip joint. Do not lean from the back as that will emphasize the back extensors over the hip extensors. This exercise also can easily be loaded extremely heavy with dumbbells and the like, but even body weight can cause major soreness. Extra credit? Do a reverse lunge from a step to dig deeper into end range tension on the hip extensors (do not do this version if you have hip impingement or severe arthritis). Just make sure that extra motion is coming from the hip and not elsewhere. There are endless other exercises you can use to train the hip extensors. Hip hikes are an advanced exercise I will address in a later post that help bring in the gluteus medius and glute max as abductors and there are ways to bring BOTH those muscles as hip extensors. This is due to the fact that posterior fibers of the gluteus medius also happen to contribute to hip extension. The above are a great way to start learning control and eccentrically loading these muscles. I will have many more posts on strengthening these muscles later. For now, chew on these.